A RUP LIFE: The Lion Guard: Unleash the Power *NOW* on DVD! 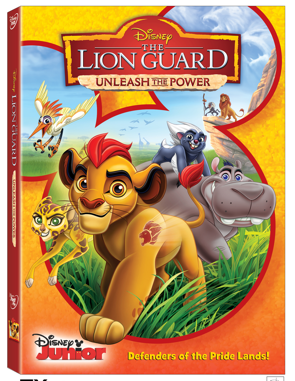 The Lion Guard: Unleash the Power *NOW* on DVD! With our Disney trip just weeks away, this new release of The Lion Guard: Unleash the Power couldn't have arrived at a better time. We are getting excited about our trip and having a all new video to watch was just the perfect thing! My 5 year old snatched it right out of my hand and ran off to watch - it was a HIT! Get your copy at your local retailer or online at stores like Amazon!